Backed by a team of adroit professionals, we are manufacturing, wholesaling and supplying an extensive array of Fiber Cement Gate Tile for Furniture. The offered gate tile is made utilizing high grade material & modern techniques as per set industry standards. We offer this gate tile in both, standard and customized form as per the requirements of customers. As well, offered gate tile is checked by our experts for ensuring its quality. 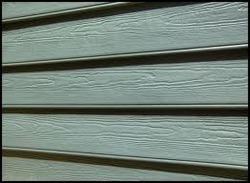 Looking for Fibre Cement Gate Cladding board ?